S.L.A.P. 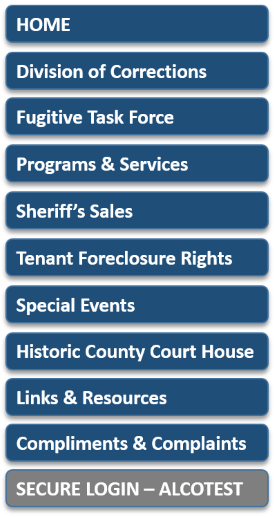 is a community-based corrections program that provides a structured alternative to incarceration for persons sentenced by Hunterdon County Municipal and Superior Courts. S.L.A.P. Participants are able to pay their court imposed debt/sanction by providing moderate levels of manual labor. S.L.A.P. is not an automatic option for any eligible participant. Eligible participants are screened prior to enrollment by HCSO Personnel. Applicants may be denied entry or remanded, and serve straight jail time. Who Participates in S.L.A.P? Is it Safe ? Individuals sentenced for low level offenses and with minimal risk to public safety (i.e. Driving offenses, shoplifting, criminal mischief) are offered the “opportunity” to apply for S.L.A.P. in lieu of straight jail time. ALL Applicants are screened and interviewed prior to enrollment. What Type of Work Do they Perform? 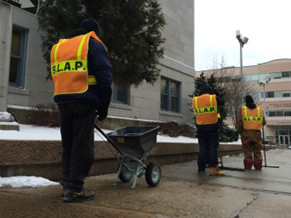 Do we have to feed SLAP crews ? 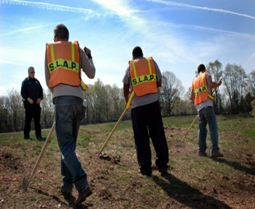 No, SLAP participants are required to provide their own meal or snacks. Do I have to provide Transportation or Supervision for S.L.A.P. Participants? No S.L.A.P. participants are transported and supervised for the duration of the work day. How do I Request assistance from S.L.A.P. ?